Sidney ‘Sid’ Cutt, President and Owner of Sidco Filter Corporation, grew frustrated when he wasn’t seeing the website results he’d hoped for when working with other web companies or managing the website himself. Even though their website was getting some traffic, it was the ‘wrong’ type of traffic. No one at Sidco Filter Corporation had the time to follow up on these baseless leads. 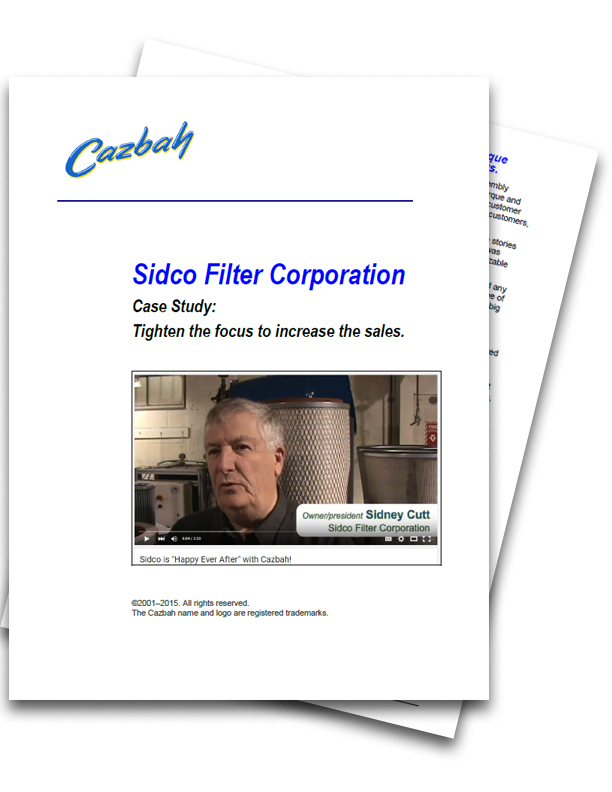 Luckily, Sidco Filter Corporation came into contact with Cazbah and realized the power that target marketing could have for his business. Sid hasn’t looked back since! we get very few non-specific inquiries at all.”. Cazbah assists Sidco Filter Corporation by creating a dynamic and optimized website, analyzing valuable analytics and reporting data, and providing customer service and support. Now, Sidco Filter Corporation’s website attracts valuable leads and helps to retain customers long term. The quality and of Sidco Filter Corporation’s website can be seen in the increasing number of customers and revenue they attain with every passing year. satisfied, because we’ve stuck with them for so long”, Sid commented. Sid knows and has repeatedly seen the effect that target marketing has had on the success of Sidco Filter Corporation. Sid now has a better understanding of his small business website and his target audience can more easily find it as well. “We’re ‘Happy ever after’ with Cazbah”, he says.